Another episode in the “Free vs. Freedom” series. I just got an email from the educational website Edutopia describing a Microsoft program designed to entrench itself further in the school systems and the homes of students. It makes me cringe when I read this kind of glowing announcement. Here is yet another lock-in opportunity instead of another opportunity to embrace freedom. Schools seem to be urged by people from all around them to pay money for a product which does not give them choice, giving them, instead a sort of leash to wear, getting staff and students used to a proprietary office suite for which they will pay financially in the future. Their work will be easier to read in the then-current version of MS Office. They will be able to exchange their work with peers who have also paid for the tools which use a “popular” un-public, not-open format. And they will be restricted to operating systems which will run MS Office. Should we blame the editors of Edutopia? They are simply “reporting” the information. Well, Edutopia did not mention in the same announcement that schools, principals, teachers, school board members, town officials AND students can install the programs like Open Office or Libre Office, giving them far wider access to the same set of “office” tools along with freedom. I do not recall getting a similar email announcement about open source tools. The open format files can be exchanged across ALL computers running any popular operating system because the file format is NOT proprietary. All the users can even choose their preferred office suite. All the open source office apps (not just Open Office and Libre Office) try very hard to accurately save files in the broadly usable Open Document Format (ODF) instead of the fancy, sometimes undocumented, binary formats employed by Microsoft. The “announcement” seemed to me to be more of an endorsement. “End of Life” seems a bit extreme. “End of Support” is the more accurate phrase. Microsoft has declared April 6 of 2014 as the date. Is your district still using XP? Is money the upgrade issue? 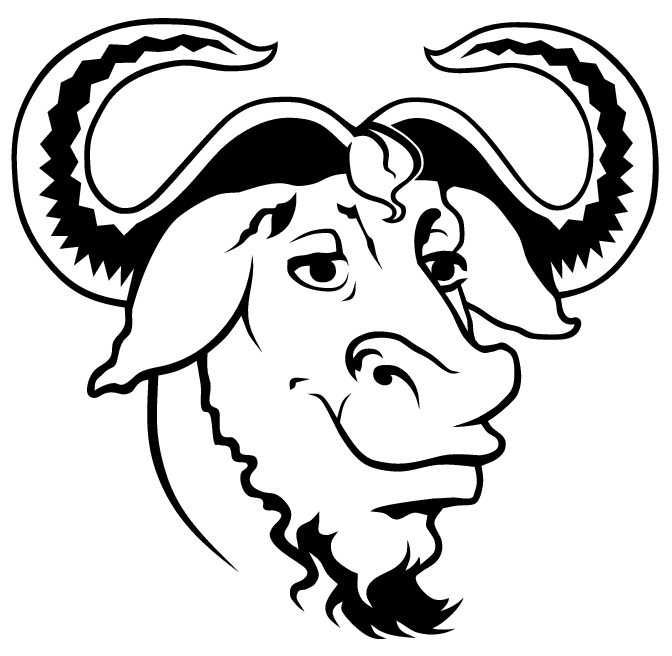 Have you considered a GNU/Linux alternative? For that, is the difficulty of finding support staff an issue? Promoting easy entry into open source (FOSS) software has been a hallmark of VALO-CD, a product of a Finish company. The CD focuses on providing “best in class” software for Windows users. The goal was to make it easy to select a program and install applications like LibreOffice and Firefox. There is a celebration going on this weekend in Cambridge. There are satellite celebrations around the globe. My thanks go out to Richard Stallman (RMS) and to all the others at the Free Software Foundation who have carried the effort forward. I’m looking forward to the next 30 years. Maybe education will soon see the value of Software Freedom. What Free Software is in regular use in your school? Good tools are important. Expensive ones are not. “Readin’, writin’ and Arithmetic” is a phrase people often use when discussing education. When you read the phrase, do you think “tools”? I think it might be a good idea to think that way. Traditional writing is a pen and paper skill, but has also become a computerized, digital skill. Students read from electronic devices at least as much as they do from materials printed on paper. Arithmetic reaches a point at which a pocket calculator replaces tedious paper processes like multi-digit multiplication and long division. Digital tools are available to help children develop the basics and beyond, too. With the computerized options now available, children can, in a practical way, become familiar with tools for audio, and video creativity. It is common to hear “digital literacy” as part of the curriculum discussion. Now, you might be thinking, “I’m a modern teacher. I know all this.” But the real issue is that I’m not talking about the computer or tablet itself. I’m talking about the software. It isn’t the computer that is the tool. The software is the tool. Writing on a computer, the writing part, is accomplished by a piece of software, not by the computer hardware. Commonly, we use a word processing program to write. Commonly, schools use a very expensive word processor to get the writing job done. Now, do you recommend a $400 Mont Blanc pen to your students when you suggest a pen? Does a $400 pen make their skill improve when compared to a 29 cent Papermate? I’m recommending that adults learn these tools, too. Children emulate adults. Then they try to exceed the adults. Hooray. I’m recommending that you look beyond the core/basics, too. Look for accessible, open source tools that children can use create the next great works of writing, math, science and art. Embrace the tools. Rejoice that they are available and accessible. Launch your children, your students into a creative tool-rich future. Maybe even get them started making their own tools. Learning to code is like learning any other second language. The sooner you start and the more practice you put in, the better your skill will become. Those of you with rich students may find some are using expensive pens or expensive word processors. Let that be a personal or family choice. Give everyone in your classes an equal opportunity. Show that good writing is the combination of careful thought and effective tools, not just expensive ones. 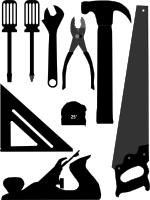 By the way, the graphic of tools at the top is a product of Inkscape, another great software freedom tool. Schools are a proving ground for students. Children develop habits of all sorts while they expand their understanding of the world. Schools need to provide tools for students which give them flexibility and increasing self direction. That makes school a perfect place to install tools that students can use both within the classroom and at home. Migrating from proprietary office suites to LibreOffice has some issues, of course. So it is great to read information which makes it easier. LibreOffice is a community-developed tool, steadily driving forward in capabilities. It costs only the effort to install on every computer in your school district. Make it a part of the hard drive image for your school. If your favorite “free” educational app isn’t there, add it. Think about your definition of “free” as you approach the task.